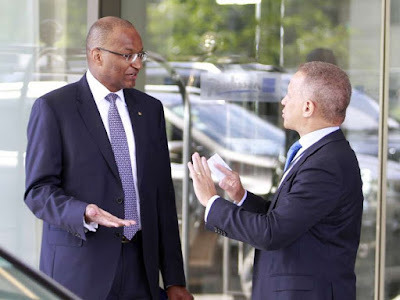 Tuesday July 31, 2018 - Central Bank of Kenya (CBK) Governor, Dr Patrick Njoroge, has said the economy will grow by 6.2 percent in 2018 if the current political climate continues. Addressing a Press Conference on Tuesday, Njoroge said the forecast was based on the economy's performance in the first quarter, a stronger agriculture sector and a jump in tourists' forward bookings. He added that there were, however, risks including an international trade war and a cap on commercial lending rates. The CBK boss also explained that imports with regard to food and SGR projects are expected to ease in 2018 but a higher oil import bill is expected due to rising international oil prices. Oil prices are expected to rise to $56 a barrel in 2018 from $53 last year as a result of a steadily growing demand, agreed production cuts among oil exporters and stabilizing US shale oil production. Other economists have predicted a favourable growth of Kenya’s economy due to a peace deal made on March 9th between President Uhuru Kenyatta and National Super Alliance (NASA) leader, Raila Odinga.